Recently, I met up with a small group of Oriental rug care specialist from around the country. My colleagues and I visited two rug cleaning facilities and two rug galleys during the two day event. The event was designed to network with other rug cleaning specialist and featured some guest speakers sharing their knowledge of Oriental rug repair, advanced rug cleaning chemistry, and some innovative cleaning tools. Overall, it was a great time making some new friends in the industry that I had not met in person and reconnecting with others that I had met at previous industry events. 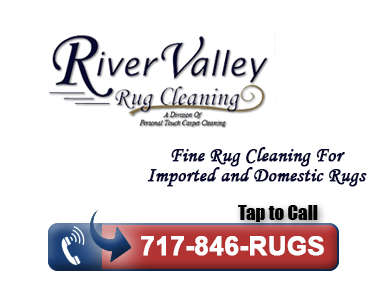 One of those individuals that I had met at a rug cleaning class a few years ago was Michael Mussallem. His family has been in the oriental rug business for four generations and the reputation of their gallery is well known throughout the industry. Michel and his brother Charels IV acted as host to our group sharing their families gallery with a guided private tour. Since 1897 and more recently with the efforts of the late Charles Jr. and the late Charles III (Michael’s Father), it has become so much more than rugs. Charles Mussallem IV shares some of the history about the pieces his family gallery has acquired. There are several differences between Mussallem Galleries and a museum, however, the high caliber of art, rugs, and antiquities is not one of them. I think the most notable difference is that everything has a price tag. As we walked into the lobby, we were greeted by the Mussallem family and after exchanging hand shakes, I proceeded to gaze around at the unique items. It didn’t take long to notice a $22,000 price listed on a small statue resting on an antique table with an equally impressive value. We took a quick walk through the gallery to a small reception area that was set up for us to enjoy a light lunch in the midst of all this amazing history. paintings and artifacts from throughout the centuries. They even had a few primitive item’s including some glass items from the 2nd-4th centry and an Egyptian wood carving from around 2000 B.C. which would be around the time of Abraham as recorded in the book of Genesis. I suppose the paintings were so fascinating because it is something I don’t see everyday. While I see rugs everyday and frequently antique rugs, rarely do I see rugs that are as fine and in as good condition as were displayed at the gallery. Many were impressive for their sheer size however even some smaller pieces were impressive like the antique silk keshan with gold yarn and the very fine silk on silk Quom with 1600+ knots per square inch and reasonably priced at $28,500. Hallways and corridors were lined with paintings and rugs. Honestly, looking back at the pictures, there is so much that I simply walked past and overlooked. Finally, we made our way to the rug gallery. The first room was what you would expect to see in a gallery; racks lining the walls with hand made rugs to be perused from small to large. Through the next set of doors was the gallery room housing the oversized and palace sized rugs. This is one of the unique features of Mussallem Galleries, since only their clientele would have room to house such large rugs. They probably have one of the largest selections of palace sized rugs in the country which makes them a destination attraction for those in the market for such a piece. I am thankful to have met Michael Mussallem several years ago and learn about his families legacy and that he and his family were gracious enough to share their gallery with a window shopper like me. I look forward to visiting again the next time I am in the sunshine state.